.. I really like spring … ahhh the spring showers and the hay fever season not!! But wait, here come the really delicious, flavoursome, and attractive fruits and vegetables that mark the passing of the boring brassicas of winter. The best of the best right now are asparagus, strawberries and rhubarb. 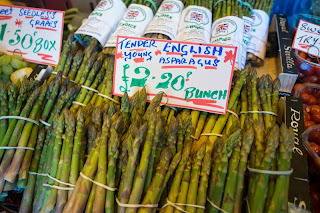 St George’s day on the 23rd of April marks the official start of the asparagus season, and after a couple of weeks they are at their juicy best, bursting with antioxidants, vitamins and minerals, all just waiting to be smothered in a rich buttery lemony (or try blood orange for a fantastic alternative) béarnaise sauce. The Romans were so fond of asparagus that they carried it from the coastal areas where it grew to high up in the alps to freeze it so that they could have it at their various feasts throughout the year …. that’s one very very long trip to the refrigerator isn’t it. 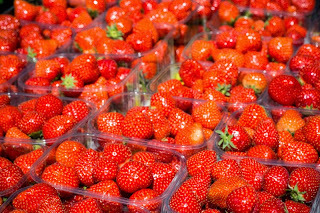 Wild strawberries have been consumed by humans and animals since forever, but it actually wasn't until the late 18th century that the modern garden strawberry was first bred and grown in France. Despite giving this gift to the world, today France doesn’t even figure in the top 10 strawberry producing nations. The top honour goes to the USA who produce 4 times as much number 2 (Turkey since you ask, yes you did I heard you) and over 25% of the entire strawberry production in the world. 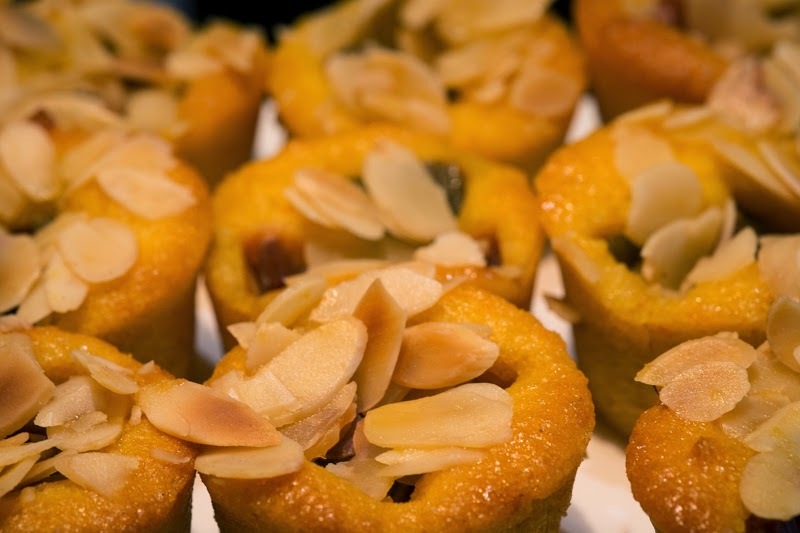 Oh I almost forget … rhubarb is high in vitamin K which is widely believed to help in delaying or even preventing the onset of Alzheimer’s disease. When I was a kid, my grandmother had a big garden and she grew rhubarb and I loved it. I don't see it that much any more and I certainly didn't know about the vitamin K effect. I'll have to search some out. Or, maybe I should just find a pie shop with some rhubarb pie. That sounds yummy. Strawberries for me. I've never had asparagus. Rhubarb, I find, isn't that tasty.